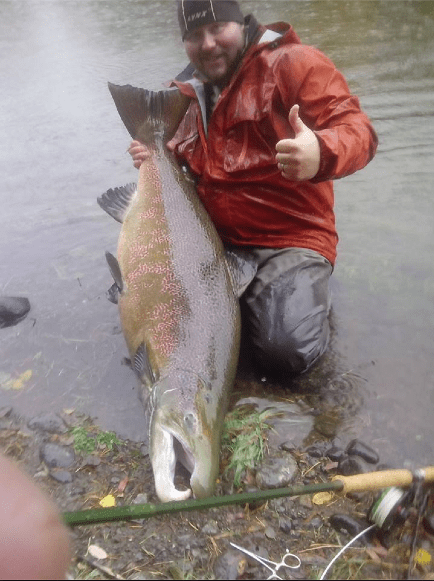 BIG salmon from river Ljungan – Sweden C/R! Home/Övriga inlägg/BIG salmon from river Ljungan – Sweden C/R! 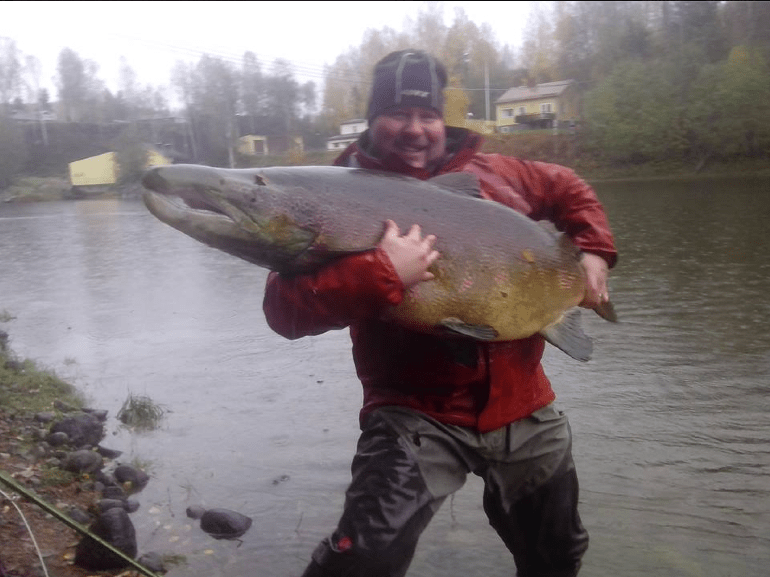 Big salmon from river Ljungan in Sweden caught today by Magnus Fagerström. Magnus and his friend Tobias were fishing seatrout when this 127 cm monster salmon took the fly. The fight was 30-40 minutes and he used only a 10 kg leader at the end of the line. Congratulations Magnus from us at fiskebloggen!